Where is the keyboard switching? I haven't found a graceful way to do it on any android keyboards. I long press either the text input box or the bottom left romaji/kana toggle to bring up the contextual menu for switching. Google could provide a nice workaround for forcing us to use two keyboards if they could make that doable in one single tap. ICS keyboards now add a notification that you need to select to change input mode, it's no longer the long-press a text field to change it. thanks for posting this man, i had no idea google had made an IME for android! this is great news. open flick/wnn was >ok< but not perfect. 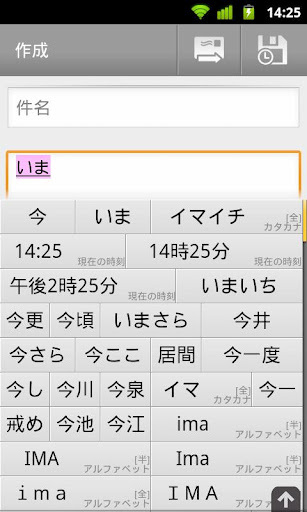 this is much closer to the experience on iphone which is still the best japanese input for mobiles. shame about the pink highlights (???) and lo-resolution keys but otherwise basically perfect. just curious; does this keyboard also support japanese phones with emoji? i use a foreign htc desire with a barebones ROM and no emoji, and the option is (understandably) greyed out on my google IME. Yeah, I don't know if it would support emoji in that case. It obviously has that built in, but it might not be active yet. I also missed that long press function. Wtf. switching keyboard is very mendokusai now. On the standard ICS keyboard, you can long-press the space bar to change keyboard. 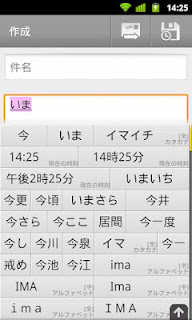 On the Google Japanese IME, you can long-press the romaji/kana-button at the bottom left.